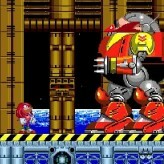 Play as Knuckles and combine it with the gameplay of Sonic the Hedgehog 3 for a more grandeur adventure! 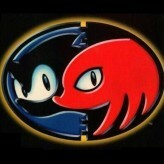 Complete dozens of levels in Sonic & Knuckles + Sonic the Hedgehog 3! Find hidden areas, collect secret emeralds and unlock character secrets! 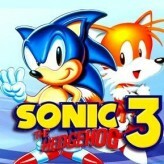 Sonic & Knuckles + Sonic the Hedgehog 3 (also called Sonic 3 and Knuckles) is a sequel to the Sonic the Hedgehog 3 for Sega Genesis. 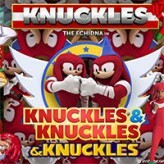 This game is the only one on its platform to feature a lock-on technology that allows players to play as Knuckles. This game is acclaimed to be one of the greatest Sonic games of all time. The game also lets you play as super sonic and hyper sonic, but to unlock these characters you must find the 7 chaos and super emeralds. Have a blast and play this awesome retro game! There have been 56,031 plays and 433 likes from 484 votes (90%) since 13/08/2016. You are currently playing Sonic & Knuckles + Sonic the Hedgehog 3 game for free on Arcade Spot. It is a single game out of a variety of games that you can play on Arcade Spot. 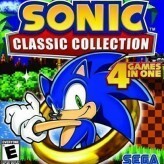 Play more games like Sonic & Knuckles + Sonic the Hedgehog 3 in the Action, Arcade, Challenge, Classic, Emulator, Platform, Retro, Running, SEGA, and Skill gaming categories. This game has a rating of 90 out of 100 based on 484 user ratings. If you enjoyed playing the game, give it a thumbs up. Free Online Games and Arcade Games are added every day. Arcade Spot will bring you the best games without downloading and a fun online gaming experience on the internet.